The Chrysler automobile company was introduced in January of 1924, just a few years prior to Ford’s introduction of the first production station wagon. Chrysler was founded by Walter P. Chrysler, a man with wealth and past leadership experience in other auto companies. By 1928 Chrysler acquired the Dodge Brothers company, and also created the Plymouth brand name. Ford began factory production of a station wagon in 1928. Chrysler followed Ford’s lead and began wood bodied station wagon production in the 1930’s through Plymouth and Dodge. In 1933 Plymouth made a wagon on its car chassis and Dodge began producing a wagon on its truck chassis. The Chrysler name was not put on a station wagon until the Town and Country came about in 1941. 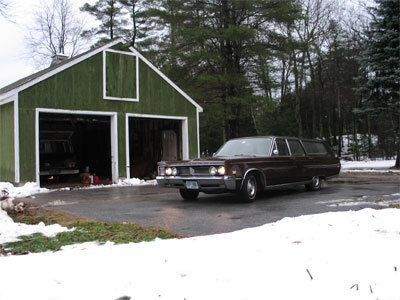 The original Town and Country series included wood bodied sedans, convertibles, and station wagons. These were produced (except during wartime) up through 1950. Chrysler retired the Town and Country name as station wagons became all steel and grew in size and options through the 1950’s. The Town and Country name was polished up and reintroduced in 1964 for the Newport based station wagon. By 1965 Chrysler retooled and brought out the new C body. 1965 Chrysler sales improved 55% over the previous year. The 1967 Chrysler Town and Country continued the 1965 styling with little change. In 1967 the Town and Country was available at $4,286 for the six passenger model, and $4,390 for the nine passenger. Total production of the six passenger model was 7,183 and 7,520 of the nine passenger models were produced. Very few of either car are seen on the road today; and unfortunately little information is available on them. 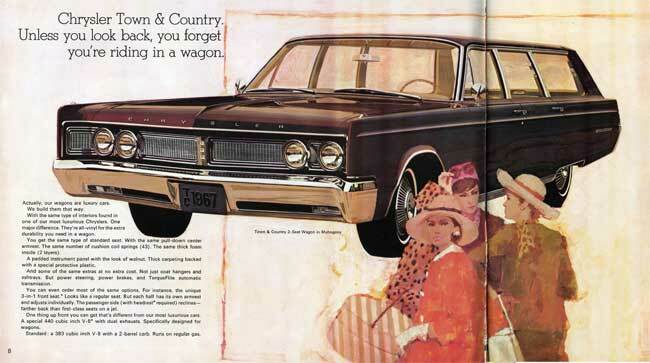 In the Chrysler standard catalog the 1960's Town and Country is only found buried in the Newport sections. Looking online the only Town and Country's mentioned are the ones of the forties, eighties and the minivans. The Town and Country models of the 1960's appear not only to have been lost to the scrap heap, but forgotten as well. 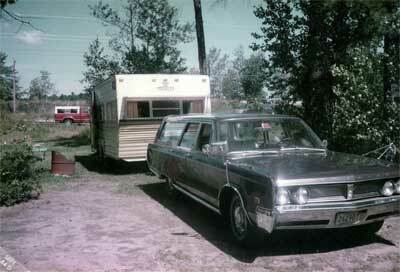 Our Chrysler joined the family January 27th, 1968. My grandfather paid $3,476.00 for the car along with a 1960 Rambler in trade. My grandfather told me that he first saw a 1967 Town and Country when traveling in Canada, and decided then that he wanted one. 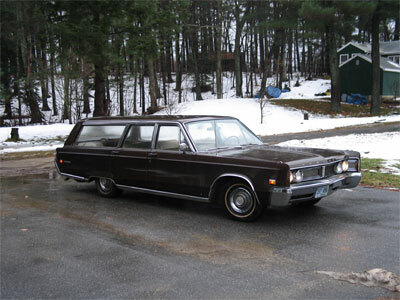 Until 1968 the family had driven a mid 1950's Chrysler station wagon which apparently was even larger than the 1967. The station wagons served as the road trip vehicles for our family. My father remembers a trip west in the old blue Chrysler just before he went to college. Eventually my grandparents bought a Prowler camper and towed this behind the Chrysler. They also had a motorboat which was towed by the '67. When I was ten years old they took me on a camping trip. Sure enough the trusty Chrysler was our mode of transportation. 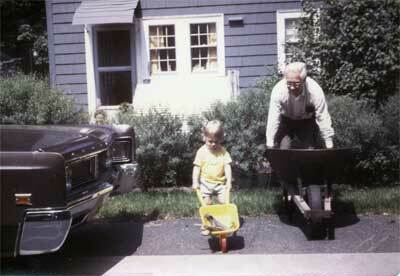 Through the 1980's my grandparents continued to use the car on forays from New Hampshire. They would drive the '67 to Holidays at our house in Massachusetts, I remember my mother's comment as she saw it pulling in one Thanksgiving," here comes the hearse!" They also took the car on trips to Nova Scotia where some of my grandmother's family still lives. In 1987 my grandparents bought a new and much smaller Chrysler Town and Country, but they kept the '67 clean and dry in their large garage. They still took it out for towing and very long trips. Throughout the 1990's as they had various health problems it was driven less and less. When my grandparents had to move into a home I went up to New Hampshire to check on the cars and look in on the property. I drove the car for the first time in 2001. I took it into Kingston town center and had an ice cream cone. The car drove like a dream, with the windows down and the tailgate window open I felt like I was in a wind tunnel. The car felt just like the advertising said," unless you look back you forget you're riding in a wagon." After 2001 the car ended up sitting for a few more years. 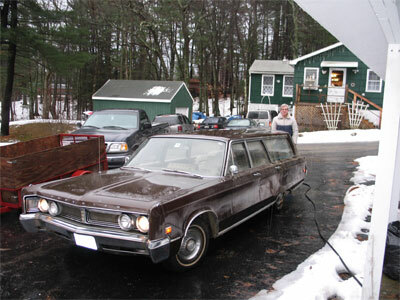 December 27th, 2005 my grandfather's Chrysler saw daylight and received its first wash since 2001 (the photo to the right is of my father washing it.). We named the car "Shistolpots" in honor of my grandfather's steadfast refusal to swear when working on a car. He always substituted Shistolpots for a curseword. The interior retains its original plastic seat coverings. The odometer reads around 72,000 miles. With a minor effort and a new battery my father and I got the car running. After about 15 minutes it purred like a big V-8 should. The odyssey of trying to register the car began in April 2006. After a couple visits to the Maryland Vechicle Adminsitration where they showed an obvious lack of understanding of the term "power of attorney" I finally registered the car. (The MVA required a death certificate for my grandmother, and almost refused the paperwork the second time around because the attorney had signed for my grandfather. The nitwits also had the power of attorney paperwork right in front of them but apparently it was too confusing.) I hope after a visit to a good mechanic for a once over and new brake master cylinder that Shistolpots will begin visiting car shows by July 2006. Walter P. Chrysler Museum website. The link sends you directly to the online history section. There are great archives here and PDF files on Chrysler body styles, engine changes, timelines and more. This website has more than you ever wanted to know about Chrysler products and history.